We’re hearing more and more in the press lately about cryptocurrencies such as Bitcoin and Ethereum, as well as Initial Coin Offerings (ICOs). We were intrigued as we’re seeing an increasing number of network marketers selling cryptocurrencies on social media channels such as Facebook. So, we thought it was high time we shared the risks with our clients. 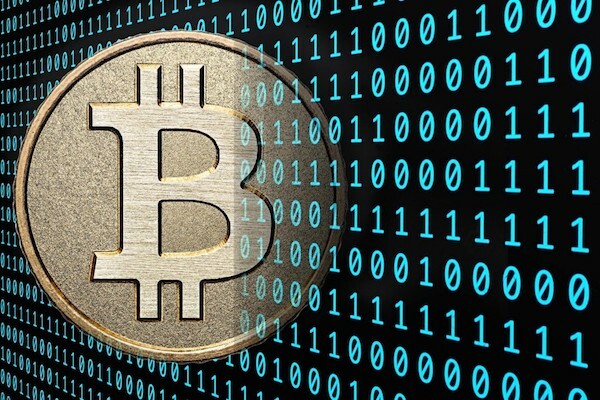 A ‘cryptocurrency’ is a digital currency supported by ‘blockchain’ technology – essentially, an encrypted digital accounting system. Unregulated and ungoverned by central banks, cryptocurrencies have certain rules that define their value. Bitcoin is one such cryptocurrency, which was released in January 2009 in the aftermath of the global financial crisis. Due to its volatility and lack of real worth (unlike commodities, bonds, stocks and shares), cryptocurrency is a very controversial way to invest and trade, and many people have lost great sums of money in the process. Please see the EQ Investors article for a full breakdown on how cryptocurrencies work. ICOs (“initial coin offerings”) are a way to raise public funds using cryptocurrency. This is becoming an increasingly popular method of funding business ventures, where ICOs are known as a “coin sale” or a “token sale”. Similar to crowdfunding, this is an unregulated “initial public offering”. There have been lots of discussions on whether there will be a crackdown on ICOs, but at present, this is still a very high risk form of investment. Please refer to the Financial Conduct Authority’s article for more information on ICOs. 1. Bitcoins can simply vanish – 3.79 million bitcoins were ‘lost’ in November 2017 – for more information, see the article by Fortune. There are no controls over exchanges and, if there is a collapse, you could lose everything. Back in 2014, the world’s largest bitcoin exchange, MtGox, collapsed and 850,000 bitcoins with an estimated value of $450m went missing. Never invest more than you are prepared to lose. 2. Volatile exchange rates – the value of bitcoin has recently soared, but this can equally fall at an alarming rate. Over the past few years, the value of cryptocurrency has fluctuated dramatically. 3. Unregulated and unprotected – cryptocurrencies and ICOs are not regulated by the Financial Conduct Authority. As an investor, you won’t have any protection, and there is a greater risk of fraud as cryptocurrencies can be exchanged anonymously. 4. Dangerous investment schemes are being sold by financial criminals using highly sophisticated marketing ploys. Remember: if an investment scheme sounds too good to be true, it probably is! You could buy an asset worth zero or, at best, it might not be easy to exchange the cryptocurrency into a physical currency. 5. ICOs are high-risk investments – as a ‘token sale’, ICOs are like pre-payment vouchers, so if the business opportunity does not happen, your ‘coins’ will be worthless. 6. Criminals use cryptocurrencies on the ‘dark web’ to sell illegal goods and services. 7. Nowhere to get ‘Advice’ – You will struggle to find a qualified financial adviser that recommends Bitcoin as a suitable investment for your hard-earned cash – why? Bitcoin is super high risk and volatile, as well as being very difficult to explain to our clients. However, you will find many non-qualified Bitcoin ‘experts’ telling you on social media why you should invest. We advise you to look into this person’s credentials and ask them what is in it for them, as well as what’s in it for you. How do they know what the future growth of Bitcoin is? How exactly do you get your money out of Bitcoin? Our advice is to not invest, but if you choose to do so, only use money you are prepared to lose. Always speak to a professional financial adviser before considering any type of investment strategy. We are interested in your views of Bitcoin and Cryptocurrencies. Northfield Wealth will not be recommending that our investors invest in these super high risk ‘investments’ in the near future, but we always like to keep our knowledge up to date on any new type of investment.